What actually is the immune system? It is an endogenous defence system that protects and defends the horse from external, harmful influences such as pathogens or toxins. It pervades the entire body like a net. The skin, the mucous membranes, the saliva, the stomach, the spleen, the lymph nodes, the tonsils, the intestines are all important organs that have to work together to ensure a working immune system. The skin, for example, as the largest organ of the horse, completely envelops the body, holds it together and protects it. It prevents the penetration of foreign germs through its slightly acidic environment. The saliva and tears also protect against germs from enzymes contained in them. The stomach produces stomach acid, which can kill many germs as they enter the body. This defence system is innate, but there are also different defence mechanisms that are learned only by contact with a pathogen and activated when needed. Disturbances in the immune system are the causes of allergies (hypersensitivity of the immune system) or immune deficiencies. Sometimes the condition and attitude of the horse is important for a healthy and strong immune system but what is especially important is the right feeding. The horse is what it eats. As a perennialist, the horse needs enough hay and crude fibre, hardly or better yet no, pauses for food and a good basic intake of minerals. 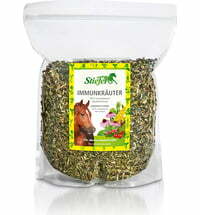 Essential trace elements and vitamins that the horse can not produce by himself must be supplied via the feed. The intestine as a central organ of metabolism is, among other things, an important habitat for microorganisms, which are essential for important metabolic processes. Every year, the horse almost entirely swaps its coat. Not only in autumn but also in spring. The change of coat amounts to a huge effort by the horse. There are many nutrients and a lot of energy spent on it. As a result, the body often lacks substances that in turn make up a strong immune system. When the horses are stabled in autumn, the light and air conditions also change. The air gets drier and dustier. 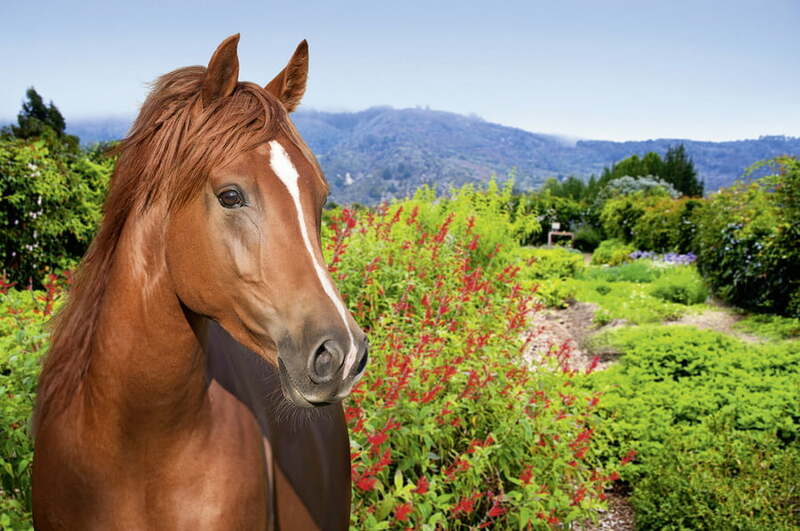 The horses get less sunlight and usually have less movement, which also affects their metabolism. There is also a food change from grass to hay. Important nutrients that were present in the summer pastures are now missing. In the cold season, the horse's immune system faces further challenges. The temperatures go down. The climate and the soil become moister, the winds become stronger. Together, there are many hurdles to overcome. Therefore, this is also the time when the horses are most prone to diseases such as colds and coughs, but also mud fever. By proper feeding, we can support the horse very well during this time and also prevent illness or shorten the infection time. The Stiefel immune herbs contain a mixture of different herbs - expertly chosen - to stimulate and strengthen the immune system. With rosehip, echinacea, licorice, taiga root, peppermint, goldenrod. These herbs are known to support the immune system. Rosehip, for example, contains a lot of vitamin C, licorice is said to have an antibiotic effect, Echinacea is said to shorten infection times. The Stiefel immune herbs can be fed as a preventive measure but also during acute illnesses so that the immune system can cope faster with the pathogens in the body. The effect is particularly intense when you feed the herbs as a tea. The herbs are simply doused with warm water. After they have cooled down a bit, you can simply mix the herbs and the brew under the feed. Zinc is one of the essential trace elements and is very important for an intact immune system. Unfortunately, zinc cannot be stored significantly in the body and must, therefore, be regularly fed through the right feed, especially since it is known that in our regions and in basic feed only a little zinc is available. 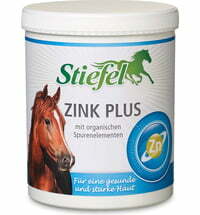 The feeding is especially important in times with increased zinc requirements such as during the coat change or when an illness is already present. Feeding also makes sense if the immune system is facing special challenges and should generally be strengthened. 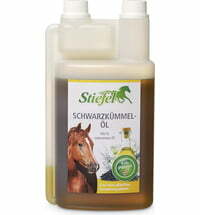 Stiefel Zinc Plus is ideal to compensate for the increased zinc needs. In addition to zinc, it contains other trace elements in an optimally balanced ratio. All trace elements are organically sourced and therefore optimally utilized by the body. Black cumin is a spice that has been used as a remedy for thousands of years. There are several studies on how black cumin can positively affect the immune system. It can aid the body in the formation of important bone marrow cells and promote interferon production. Interferon protects normal cells from the harmful effects of viral infections and also destroys pathological cells. It also increases the number of B cells that produce antibodies. In addition, the black cumin seed and black cumin oil contain valuable omega-3 fatty acids, which are known to have an anti-inflammatory effect. The pellets are slightly lower in fat, but have similar properties to the seed or oil. 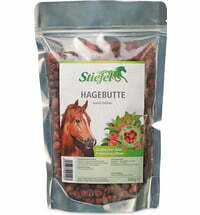 The Stiefel black cumin pellets are cold pressed and ready for feeding. The black cumin is used particularly successfully in horses with respiratory illnesses, but also in skin problems such as the summer eczema.